Anaesthesiologist, are like aeroplane pilots, are essentially 99% of the time in a “watchful waiting mode”. It is when an untoward event occurs that they are called into action, their level of alertness, skill and response is critical. It is not the drug Propofol itself that is the culprit for it is an effective and fast acting anesthetic agent. It is the monitoring of the patient and the ability of an attentive physician to promptly act with the necessary staff and equipment that can make the difference between life and death. These were the obervations made by the National Commission, while dealing with a case of medical negligence. The commission also observed, Michael Jackson and Joan Rivers both lost their lives secondary to the anesthetic agent, Propofol…!! The National commission was dealing with the case of D. UMA DEVI V/s. Yashoda Hospital., A.P. 1. This started in 2008. The patient, was suffering from Jaundice, and after he was admitted in the Hospital, he was advised ERCP (Endoscopic Retrograde Cholangio- Pancreatogrpahy) with CBD endoscopy. But during ERCP, after the administration of anesthesia, there were complications causing the patient to go in a coma and the patient became brain dead. 2. 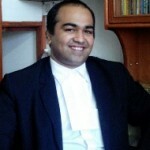 Thereafter, it was also alleged that the Hospital refused to treat the patient and hence the wife of the patient, the complainant, approached National Human Rights commission (NHRC) which directed the Hospital to continue with the treatment along with case to be filed in Consumer court. Ultimately, after a long struggle of 2.5 yrs, the patient succumbed to death in the year 2010, at the age of 42 years. The State commission granted Rs.10 laks of Compensation. But both the parties feeling aggrieved, approached National Commission. 3. The Doctors denied all the charges. They attributed the initial complications to sudden cardiac arrest during ERCP. 1. The principle of Res Ipsa Loquitor (the act speaks for itself) aptly applies in this case for the reason that; firstly it seems the doctors who have attended on the patient did not conduct necessary exercise before administering “Propofol”. Secondly, the patient was not admitted with complications.Mishandling or negligence for a spur of moment would adversely affect the life of a patient. 2. The court took into view an expert opinion of a cardiologist which stated that the doctor could have waited for some more time before conducting the ERCP procedures as the risk was high. He gave the opinion on the basis of medical documents; he noticed the documents are devoid of vital monitor recordings of the patient at the time of procedure. Also, the sequence of events leading to cardiac arrest was not there. He also submitted that the evidence from the case sheet shows that young healthy patient under anesthesia sustained cardio-respiratory arrest and brain damage that indicates that the anesthesia was excessive and timely intubation was not done for the patient, there are no reading between 3.30 p.m. to 3.50 p.m. i.e. for 20 minutes on 14.05.2008. The patient was hale and healthy, not suffering from liver and renal problems. 3. The cardiac arrest was not managed properly, therefore patient suffered coma. Thus, it is the case of medical negligence.If the hospital is having super specialty facilities, higher level of treatment facilities and cost of treatment; there will be higher expectations of treatment and care. 4. 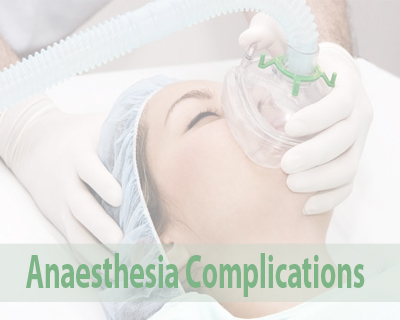 The court also reiterated the guidelines laid down by leading organisations including Royal College of Anaesthetists (UK), British Society of Gastroenterology as well as American Society of Anesthesiologists, on safe use of propofol in the context of sedation. As per the recommendation propofol sedation is ideally administered by dedicated and appropriately trained anaesthesia personnel. The hospital procedure required the monitoring and recording of a patient’s vital signs before and during the procedure. Some vital signs such as blood pressure, oxygen saturation, and pulse rate could be monitored by a protocol machine. Other vital signs were required to be noted and handwritten on the patient’s chart. In the instant case, there were no records of patient’s vital signs during the ERCP procedure. Therefore, the absence of any such record leads to the adverse-inference. 5. The National Commission took into account, the dependant person of the family of the deceased and hence enhanced the compensation to Rs.47 lacks plus 9% p.a. interest. proper is to do the case under total control of the anaesthetist from start to end that includes PAC AND there after . Anaesthetist taken for a ride ! There is hardly an precedence of Gastroenterologists doing ERCP under the cover of Anaesthetists through out the country or even in the west . Gastro people call anaesthetists only for emergency and resuscitation. This is true of all the cardiologists as well . They again don\’t do every invasive procedure under the cover of the anaesthetist . They consider anaesthetist as a legal formality . There are lot many accidents happening in other countries as well . I hope Dr Saxena realizes the effect of ego and money involvement in the play . Problem created by the eagerness of the Gastroenterologist to do the ERCP in a hurry and leading to anaesthetists involvement in a casual manner or must have been dragged the last moment , has made it a curry . Propofol is an induction agent and invariably leads to apnoea and provision for IPPR , Monitoring , oxygenation ,INTUBATION and resuscitation [CPPR] should be available before going for the procedure . ERCP in not an EMERGENCY . Pt. can be taken up after the situation is settled . However the decision to do the ERCP is the decision under the domain of the Gastroenterologist . Therefore it is the total responsibility of the Gastroenterologist and not Anaesthetist as extra high risk and even consent to death is obtained . Gastroenterologists is totally responsible for the procedure . Rajinder. Your comments sound that the anaesthetist are a push over and can be made to do anything at all. I am sure one would agree that the anaesthetist giving the Propafol would realise the risks associated with giving Propofol. If an anaesthetist is giving the Propofol, then by law the patient is their responsibility and if the felt the risk was high they could have easily refused to help till the patient was optimised. sibilility. It is assumed that the procedure was done under sedation ,and patient being monitored by a non-anaesthetist. Surprised that in these days,doctors not trained in an aesthetic care are allowed to monitor surgical cases. eternal vigilance is the hallmark of good Anaesthesia. We have minor surgical procedures, but certainly we have no minor Anaesthesia. As an intensive I would like to know if non anaesthetist intensivists are legally allowed to give propofol in icu under monitoring ..a practice very commonly followed in all indian ICU S ! Non – Anaesthetist Intensivists should not administer Propofol as that amounts to administering of anaesthesia . Propofol is an induction agent and don\’t consider it as a simple tranquilliser or a sedative and an anaesthetist is comprehensively a physician ,cardiologist ,and with all the techniques of resuscitation and a comprehensive Intensivists . Intensivists are required to do the critical care only .